Emha Ainun Nadjib said that there would be a shift in civilization, the super power countries would fall and be replaced by new super power. The Asia Pacific region will become a new super power, including Indonesia, unfortunately it does not belong to the Indonesian nation. Is this statement a utopian idea? Couldn't the Nusantara Nation (Indonesia) be the world leader again? In medieval age when Europe was still the third world, America was not born yet and Islamic civilization in the Arabian Peninsula, China, Andalusia and Nusantara dominated the subjects of world civilization, that's when the world was caliphed by the highest quality people, the philosophy of Negarakertagama (upholding values religion) applied. The birth of quality humans cannot be separated from the education system. The philosophy, methods, systems, indicators and objectives of human education are clearly understood both in the realm of theory and application. Europe experienced a period of enlightenment after touching with Islamic education in various fields. But after the birth of the industrial revolution with its materialism, values ​​have also shifted. A value of revolution took place, and until now we have faced challenges brought about by the needs and demands of contemporary globalism in the modern world. The severity of the Indonesian Nation at this time is no longer be the subject of civilization as has been achieved before, but has become the object of sufferers. Failure to solve these challenges comprehensively make Indonesia associated with backwardness and stagnation. The world of education in Indonesia today cannot produce capable generations who facing the challenges of modern society. The world of education, especially Islamic education, loses its heart and mind. The world of education in Indonesia has been removed from its root and adopted a Western style of education. We also face social problems, diseases associated with modernization: hedonism, cr1me, etc. The commercialization and industrialization of education, the quality of teachers, the system of education and education that are systemically unclear, the ever-changing curriculum that is based on the government without regard to the needs of grass root class makes the people only become object of exploitation in education. Education is only for the rich people. 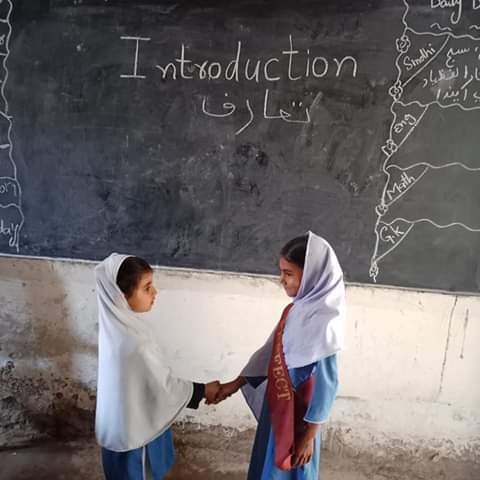 Inequity in educational equity also occurred, education in the village was increasingly worried with its incompleteness of the resources used for the implementation of education. The world of education is only an "order" to meet the industrial needs and greed of capitalism. Full day school, a method of past hermitage and boarding school, has also been replicated, but is the philosophy still in line with what has been applied in ancient times or has only become a new commercial commodity for the implementers of education? The information and communication technology revolution also has a major impact on the current development of education and human resources in Indonesia. The fact is that more is washed away with this age and without any filter and criticism of it, even though the development of this technology can be a turning point for the expected big changes. The world of education is a place for the formation of human quality, if the grinding machine is unable to work properly, the output of the product will not be good. Seeing the history that this Nation was once the main subject of world civilization, with an education method whose philosophy is very distinctive to form a quality nation, it is not impossible if this nation is able to rise again with the condition of being able to rediscover its human resource processing machines. The future of the Indonesia is in the seriousness of the current millennial generation to continue to search for and formulate solutions to the challenges of the times that are fundamentally in the realm of education. What is the educational philosophy which compatible with Indonesia? What is the key performance indicator of success? Is the constitutional mandate to educate the life of the nation a utopian thing, something that cannot be achieved by the world of education today? Are there new breakthroughs to answer the challenges of the times in the world of education today?